I’ve fallen behind in the update queue again, so it’s time for another blast of mini-updates! Hello! I became a huge fan of Earthbound just last year. The games have made a big impact on me, including how I do my hobbies. 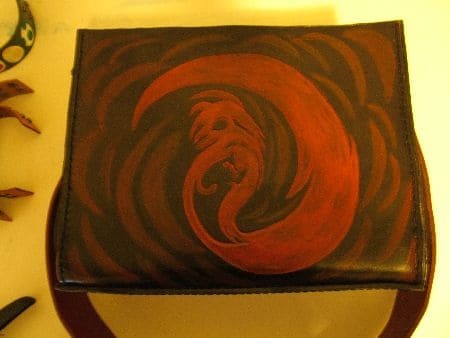 The first big project I did was this Giygas bag. I wanted Giygas from Mother 2 on it, but I also wanted Giygas from Mother 1. I wanted to put characters like Pokey and Ultimate Chimera in somewhere as well. So I opted to do all of them. Giygas is the main feature on the sides. Important antagonists from all three games are on the strap. The team at Water Bottle. Hi, I recently made an Android phone bootscreen based off of Earthbound’s Title screen. I doubt you have time READ this, let alone actually do it. Thanks in advance for possibly considering my idea. I’m in the same boat this year. I’m also attending DigiPen Institute of Technology, and I wrote a paper on EarthBound which nabbed me a spot at the Game Developers Conference. I know this may not be super duper cool, but I thought you might be interested. I know that you’ve posted Nintendo’s “no Earthbound” response, so I thought it would be interesting to see what their “yes Earthbound” response is. Here is the email exchange. Thanks for contacting us. I can certainly that you, like many Earthbound fans, would like to know when Earthbound will be available from the Nintendo eShop. I can confirm that while Earthbound has been officially announced for release, it hasn’t been given a release date yet. When it has, our website’s Game Guide (http://www.nintendo.com/games/guide) will be the best place to find it. Once there, use the questions on the left to filter based on system, genre, online play, etc. When you have narrowed your search, click on the game’s title to see all the available information. If what you seek is not yet available, please check back later. When there is new information to share on announced games or other upcoming products, our website is the best official source! Remember, any posted release dates are estimates and subject to change. As a product’s estimated release date approaches, you may wish to check with your local retailers to see when it may be available in your area. Well that’s about it. I know it’s not earth shattering, but I thought it would be kinda fun to see what would happen. Thanks for all you do for the community! Hey, Tomato! I was at the Nintendo E3 event at Best Buy, and I got to talk to some Nintendo reps and they said a couple things about EarthBound coming to VC that I’m not sure has announced yet. First, it’s confirmed there is actually zero problems with music copyright in America (“all the music problems were just rumors”) which probably means that all the music will be intact. Second, Nintendo is hoping for an October release for the game, or at the latest this holiday. One of them said they greatly encourage “people who like the games to please buy the VC release of EarthBound so that Nintendo will see, and think about releasing Mother 3 in America”. Nothing else really besides that, but I thought it was interesting to hear stuff about EarthBound from a Nintendo employee. 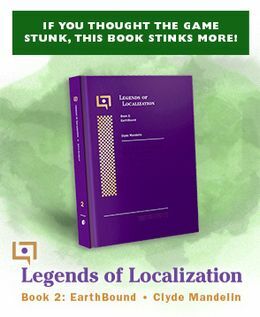 An excerpt from Ken Baumann’s book EarthBound was published on Kotaku by Luke Plunkett. Easily one of the most obscure EB references I’ve seen, Shmorky made a comic spoof of Animal Crossing. One panel has the player in a store which has a Video Relaxant for sale. Considering the item isn’t even obtainable by normal means in EB, I was both surprised and amused to see it referenced in the comic. If you’ve already got this then I’m sorry, but it wouldn’t stop loading when I pressed Send so I decided to send this without the audio file this time. I’ve always had this sneaking suspicion that in that time before Shogo Sakai wrote the Love Theme for MOTHER 3, the jukebox track Adolescence was used in the same place as Mom’s Hometown is in the final game. And that Mom’s Hometown was, whether consciously or not, based on Adolescence. I can’t definitively prove that unless I asked Shogo Sakai, but when I mixed the two songs together in Reaper, I was surprised at just how well they fit together. All I had to do was change the key and align the two tracks just right. But to my surprise, I did not even have to match the tempo, they were already in sync. They even use some of the same instruments. The way they go together in some places, it’s almost like they complete each other. I’m just surprised that Shogo Sakai himself didn’t think of this when he remixed Mom’s Hometown for Brawl. The reason the key is different, is because the two songs aren’t in the same key, and when I mix together tracks like that I like to change the key to something in between instead of taking one of the tracks’ keys and rolling with it. I’d like you to link to the YouTube upload but you can also post the attached sound file if you like so people can download it without messing around with YouTube download tools… which is what I would have said if I had attached the audio file, which I didn’t for reasons stated above. I don’t know how familiar you are with the Chicago Blackhawks. They Photoshop’ed one of the players onto Ness with an apt description of why they did it. The link is: link and it’s at the bottom of the page. October? As long as we buy enough to get Mother 3! Ooh, that Adolescence/Mom’s Hometown mix is really interesting. That song always felt like it was of an oddly high quality and level of completion considering its very minor role in the game, this guy’s theory makes a lot of sense. 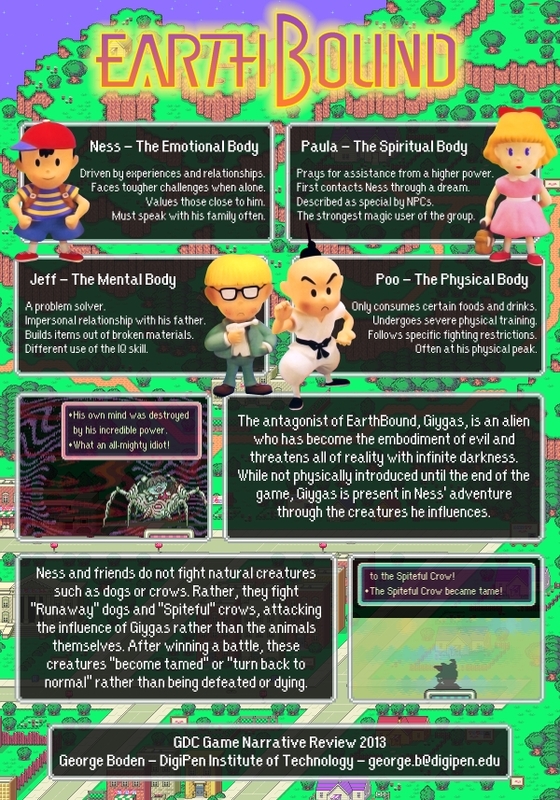 Mother 3 and EarthBound are dubbed ‘legendary’ yet no mention of EarthBound Zero? I G N O R A N C E.
Holy… So if the music was never the problem, what WAS exactly? I’m not sure if I can believe the part where the Nintendo rep said “people who like the games to please buy the VC release of EarthBound so that Nintendo will see, and think about releasing Mother 3 in America”. He may have said it, but it won’t happen… also I honestly think they will release EarthBound on Dec 26. The last Thursday of the year. No joke. Thanks for the updates Mato! I really want to support Heroes of Mother 3 but, Alas, i have no credit card. And i can’t wait to see how sales do for Earthbound once it’s released on Virtual Console. Perhaps Nintendo of Japan was waiting for Itoi’s Ok.
Or they just didn’t care. You see, the thing about all the allegedly “copyright infringing” tunes is that all of them were sound-alikes/style emulations, which would be protected under parody. The “music problems” were just a rumor?!! I need to get a Droid now; that title screen is the best thing. You mean the “music problems” were just a bunch of unqualified nerds speculating based on meaningless rumors? WHAT A SHOCKER. My guess is that the music problems are now “rumors” because they have to act 100% like there are no issues with the music. If you get sued for copyright infringement official messages saying anything else could be interpreted as being aware of the fact that there may be legal issues with the music. We definitely know that there were issues with the music because so many credible sources said so. I think even Itoi mentioned it. Obviously the legal issues were looked at more closely and they decided it wasn’t going to be a problem, but I find it hard to believe that there was no truth to the rumors. Whoa, whoa, whoa, Jason, stop being rational! This is the time for knee-jerk anonymous trolling. One source mentioned music problems. It wasn’t even that credible. Everything else was entirely speculation. You guys are right, though. There must be some rational reason for why the fans were correct the entire time. There’s no way you guys made a mistake. To me, some random Best Buy employee is about as creditable a source as some random GameStop employee. They think they know everything and wanna try and sound smart to the pathetic news-hungry gamers who are gullible enough to believe them as hard fact. Right now, i’m taking what that guy said as worth a grain of salt. @ The Great Morgil I called Gamestop about a month ago asking about EarthBound, and the guy said they had it next to Earthworm Jim. Even after I said it wasn’t a joke, and that it’s getting a rerelease he didn’t believe it. A lot of Gamestop employees can be real know it all jerks. What would a GameStop employee know about a Virtual Console release? He was most likely being a jerk to you because you asked a dumb question. Oh, thanks for the ban, Mato. You were all hanging on to every word Mato said about the copyright infringement. I knew it was B S all along, and NO ONE would pay attention, including Mr. Right About Earthbound All The Time. That SOS game looks really good, even the heroes of mother 3. Heroes of mother looks like it already has gotten enough money but the SOS game needs a lot more. So tempted to get The Summer of 199X nail polish! That nail polish says it’s inspired by EarthBound, but I don’t really see how. The names of the nail polish were inspired by EarthBound, I presume? Oh, they have individual names? *checks* I guess I can see it now, but I don’t think they would make me think “EarthBound” if I didn’t already know they were EarthBound. I LOVE the android boot animation and I have been trying to get it to work on the GS3. 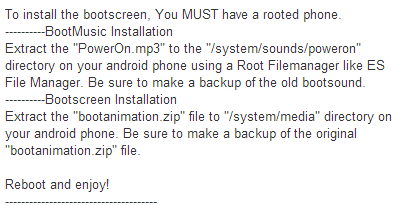 I resized all the images for it and changed the desc file to the same size but I still can’t get it to work. Any help? It did work before as is but it is too small. I remember Heroes of MOTHER 3 it was very interesting and now a game this is quite exiting for me. Oh, I need to remake each element in w/e resolution your phone is, I’ll try and push out some higher resolution versions out soon, I’m busy with other things so it might take quite a bit. Oh no problem I figured it out it looks great on my GS3! Great work!